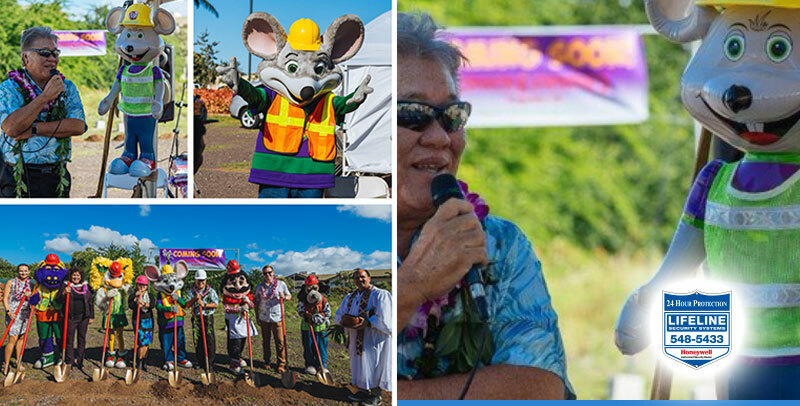 Did you know that Chuck E Cheese is opening in Kapolei very soon? We were honored to have been invited to the Groundbreaking ceremony last month and construction is currently underway! Groundbreaking would not have been complete without an appearance and performance by Chuck E himself (as well as some other characters)! So much fun! Exciting times for our Second City with so much development going on all around us and we know this one will bring a lot of joy and happy memories to a lot of West Side families! Lifeline Fire & Security is the only Authorized Honeywell / First Alert Professional Dealer in Hawaii and provides security integration solutions on Oahu and all over the Hawaiian islands. The company is an active participant in many community outreach activities to help better the lives of our residents.